Come one, come all! To the Wicked City of Noisy Freaks, where no one is discriminated! In case you live under rock, this is Mayor Langley, advertising the interdimensional crossroads known as The City of Chambers! This anomaly of an island that rose from the sea twenty something years ago was initially closed off by the government due to the mysteries surrounding it, but now, finally, Chambers is open to everyone living outside the city to visit! Being an island that acts as a passageway for other dimensions, you’ll find pretty much anything you could imagine and so much more. From story book critters to real life superheroes to eldritch abominations that may be scary to approach, but there’s absolutely no need to worry. With the human police force being replaced with superior androids, no nonhumans or superhumans will be any danger. With technology hailing from places that we’ve never seen, Chambers has quickly become the most technologically advanced setting in the world. Gadgets and gizmos that you’ve never seen before, and you likely never will see without coming here. If you’re lucky you could come in a human, and end up having superhuman abilities by the end of the month. Whether it’s for a temporary vacation or a permanent stay, we’ll insure that your time in Chambers will be the best times of your life! Ya don’t believe me? Well, come on down and see for yourself. This is Mayor Langley, signing off. -No autokill or permanent effects without permission. -You know how I am with powers. I love OP characters, just make sure all your attacks are able to be avoided. And yourcharacterisnotgod. Don’t afraid to have your character lose a fight. -During free time, when there is no plot, feel free to be as dramatic as you want. Start all the problems. But just don’t get in the way too much when plot actually begins. -Be active as you can but be considerate. I don't wanna get some shut eye and come back to a lifetime supply of letters. -The minimum post requirements for this RP is the Casual max, at least 4 sentences per post. Of course more is always welcome. -Please try to be grammatically correct in your posts, it just makes it so much easier for other people. -If you would like to create your own group or organization within the RP then just PM me. Tell me who it’s own by and give me a general description of what the group is about. -There is a Discord Chat for City of Chambers. Once you’ve decided you’ll join I’ll invite you. -I love character development, if something’s going on in the RP that you would like to use to help build your character then just let me know. If you’d like to place your own plot then let me know as well. Though there’s already some stuff planned so it may be awhile. Last edited by Moddy on Sat Mar 24, 2018 5:01 am, edited 3 times in total. -Unknown Owner. Sponsored by Hell’s Bazaar. The high stake, illegal, dueling program that takes place all throughout Chambers. Named after the city’s infamous nickname, The Wicked City of Noisy Freaks, those who sign up for Freakville Arena throw all sense of safety out the window, for the minute they sign up anyone who is apart of the program is notified, and can challenge them at anytime. The deathmatches that take place all around Chambers can likely be rooted back to Freakville Arena, as the program supports killing or permanently crippling opponents just to up their ratings. They supply no weaponry, no financial support, no medical services after fights, all they have to offer is the constant sense of danger, the adrenaline rushes, and the experienced and strength gained from constant battle. Hell’s Bazaar sponsors Freakville Arena by giving a free app to those that can get a hold of it. The app streams Freakville battles, as well as updates users on who’s currently at the top of the charts, who’s been incapacitated or killed in battle, who’s resigned, etc. Of course, fighters don’t join Freakville for no reason. It could be for the thrill, the strength and experienced gained from entering in such a competition, or perhaps its the $100,000,000,000 prize money given to those who have won the entire competition, being the last one left. Whatever it is, there’s something that keeps people motivated. Fighters that sign up for Freakville Arena are given an Identification Device that allows other fighters to find their position and vice versa. A fighter is disqualified when a service drone finds the Identification Device with the owner nowhere in sight, an fighter can also resign from the program via the Identification Device. The infamous Black Market kept under the radar in Chambers. Hell’s Bazaar possesses anything one could possibly think of as long as they have the money, and if Hell’s Bazaar doesn’t have it you can guarantee they’ll receive a shipment of it by the end of the week. From angel slaves, to weapons outlawed by government, to even shady scientists willing to give you supernatural abilities as long as you act as their guinea pig. Hell’s Bazaar is never lacking resources and caters to all with its physical and web based sites. Hell’s Bazaar’s official website allows customers to purchase items without leaving their home, along with access to disturbing media content. Hell’s Bazaar is owned by a mysterious figure that goes by the name s3ct0r (Sector), while believed to have workers stationed all throughout Chambers, no one fully knows who is and who isn’t associated with this Black Market. Last edited by Moddy on Wed Mar 21, 2018 1:10 am, edited 2 times in total. Appearance: (Perferably some form of artwork. Last edited by Moddy on Wed Mar 21, 2018 1:34 am, edited 2 times in total. I appear just because I want to say I'm here!! Starbrooks issued 2nd generation Plasma Katana. Capable of slashing through thick slabs of metal like butter. When the “Overcharge” button is pressed while unsheathing the sword, Noah can unleash a large crescent shaped projectile of plasmatic energy, however this dampens the battery life considerably. 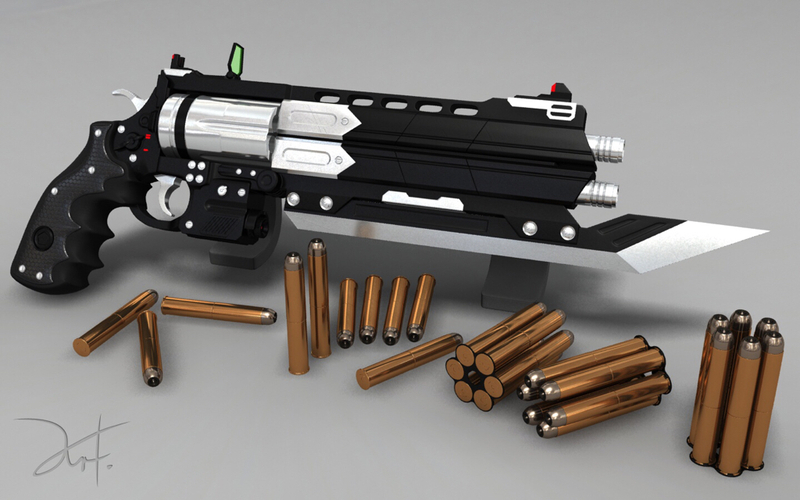 Plasmacidic Pistol. Bullets explode on impact with target and release a plasmacidic liquid that corrodes objects with frightening speed. Noah’s body contains billions upon billions of microscopic nanobots that aren’t much bigger than Mycoplasma. These nanites move all around Noah’s body, and not only do they help improve bodily functions, but provide him with a variety of abilities. The nanites detect vibrations with the ground and atmosphere, vibrating themselves in the area an attack is headed to warn Noah. If he does not react fast enough the nanites will override his motor functions and move Noah to avoid the attack. Noah’s movements are completely effortless and free, unrestricted by any normal human hindrances. Along with tremendously increased agility, balance, dexterity, athleticism, strength, speed, and reflexes. Noah’s movements require no build up or time to build momentum, nor does he need to completely stop moving or slow down in order to go into the next movement. He can make any movement without needing to first build momentum, change directions while spinning with slowing down, move in any direction while facing forward just as well as he can while moving forwards (can run backwards just as fast as running forward), can concentrate all movement into one specific body part, allowing him to move it at high speeds suddenly without warning, as well as completely cancel fast movements that would normally have too much momentum to stop so quickly. A large amounts of nanites clump together in a designated area and emit electricity, allowing Noah to shock his opponent’s. This doesn’t mean that Noah is invincible, but he can ignore attacks. This simply means that shooting Noah will not cause him to flinch in reaction, he’ll continue doing what he was already occupied with. As the nanites remove harmful foreign entities from Noah’s body, he is highly resistant to must sicknesses and toxins. The nanites also accelerate the healing process, the speed depending on how injured Noah is. The more damage he has sustained, the faster the nanites work. The nanites prioritize healing Noah over all other functions. The more Noah is injured, the more the nanites will focus to heal him instead of making sure his fighting capabilities are up to par. His speed will improve but it will be optimized more for getting away from the situation rather than fighting. Noah seems to be a laid back and mellowed out individual. He doesn’t take most things seriously nor does he ever blow easily misunderstood situations out of proportion, if anything he downplays the gravity of the situation much more than he should. He sometimes comes off as arrogant when confronted by those with violent intentions, never showing any signs of apprehension or even excitement for the fight, just boredom. His face seems to just be stuck in a permanent inattentive gaze, even when he’s actually giving attention to an individual it sometimes seems that Noah is hardly paying attention, although he’s much more aware and attentive than most would expect. 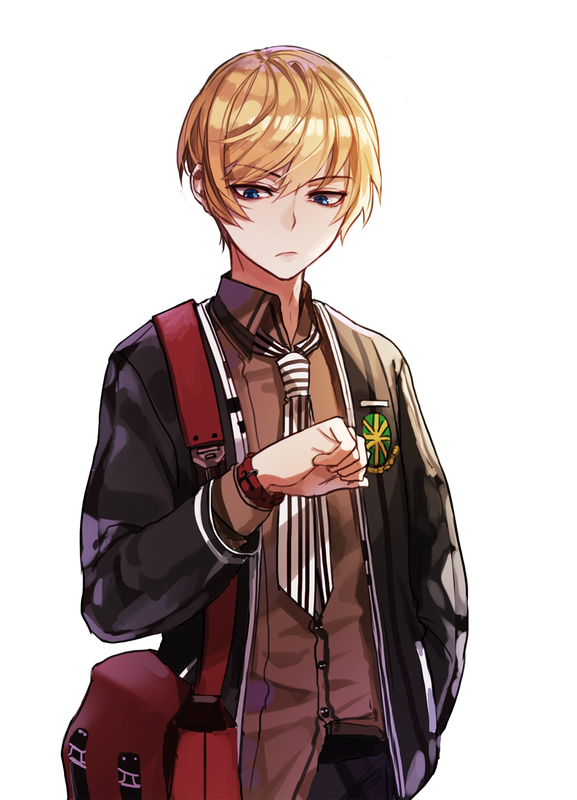 Although he’s appears mostly emotionless, Noah isn’t emotionless nor does he purposely repel people. A friendly stoic is what most call him. He hardly shows his feelings outwardly, but that doesn’t mean he prefers to be alone and to himself, he rather enjoys the company of other beings. Noah is very simplistic, one that isn’t for dramatics or doing more than he has to. It can make him come off as lazy and uncreative, as any assignment he’s given Noah will meet the criteria exactly and not even attempt to go above expectations. His simple way of living causes those around him to believe he’s boring, causing him to be overlooked quite a bit. He works for a package delivering service, and can frequently be seen delivery packages here and there. Last edited by Moddy on Sat Mar 24, 2018 1:03 am, edited 2 times in total.